Question not relevant to server capacity, but perhaps a future post topic: Crafting is to be greatly expanded in KotE, in what way will it be expanded, and what sorts of things will be craftable? Will we be able to chat (gsay especially) between instances? Good question. I’d like to enable cross-instance guild chat, though I’m holding off until I can analyze what kind of an impact it will have on server speed. I’ll pull the trigger on it as soon as I’m confident that it won’t slow down important things like marketplace transactions. at the very least we should be able to see online guild members across the cluster and which instance they are on so we can attempt to be organized as a guild. Thanks Silk, I’m sure we all really appreciate these weekly updates and the things to come! I just have one question–with the change in server style, will that mean other, related things will change? In particular I speak of bank space storage. 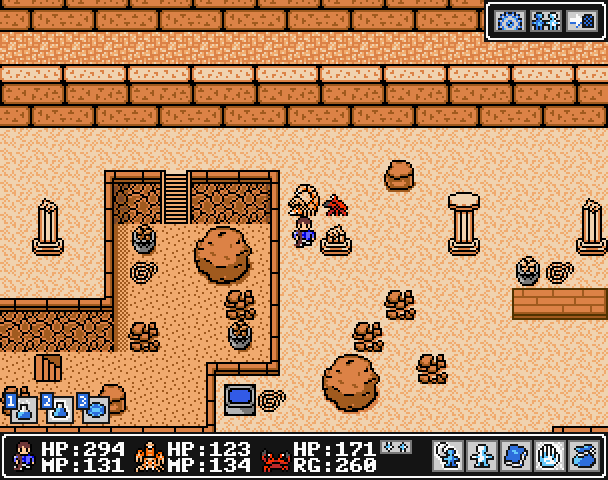 If a game has an unlimited inventory or an item storage, you can be sure I’m going full pack rat mode–especially if it’s an RPG of any kind. I’ve got a little under 2k hours in this game, but I’ve stopped playing for a while. On the technical side, can the system easily support future modifications on the instance system? As now, it would seem like it works on a sort of “first come, first serve” basis, filling up a server once its full. With the current population this is likely not to cause issues. Still, there is the possibility that a good amount of people will come back playing once the expansion comes out. When that happens, and multiple instances are opened, people on a guild may find themselves fragmented upon multiple full instances. Sure, they could all log out and relog to another instance (i suppose you can directly choose what instance to log in once multiple instances are opened, right?) but that could end up impractical. Thus, in the future, one such improvement that could be done is the use of some parameters to decide whether to put the incoming player in a new instance or in an already existing one, as long as the system permits to do so (or at least without heavy overhaulings on the whole cluster/instance code). For example, the system could try to put incoming players along friends and guilds by reserving some space in instances and by using some weighted formula to decide whether to put a player in an existing instance or in another, new instance. While it isn’t something to be concerned right now – as you said, we’ll probably have a single instance per cluster – the technical possibility of doing something like that could end up useful in the future. I really hope the Capacity Bolstering will go out well. Regarding my save files, you can just delete the ones that are not on the Midgard server. Ker_Blam, HeWhoHasNoLife, Blackwrensniper, Nasca and Lord Rith. The text speed and battle speed is there to preventing cheating by players using bots and yes it has been tried before. Player Ships in Key of the Exiles NEStalgia on Macs? Linux? Chrome? Yup!